Hello there guys! Jerm here with some Tampa bay dining related news. I must admit, that I am not much of a wine drinker, so when I was talked into taking a trip to Plant City for a wine tasting at Keel & Curley Winery, I did have my reservations. In addition to not liking wine that much, I thought the drive was just going to be so long and given it was the end of the day, I would be even more tired than normal. Oh how I love to be proven wrong though, as I was on this occasion in both regards! First off let me talk about how quick and easy the drive was. Its actually Just off of exit 17 at Branch Forbes Road right off of I-4, which was not a great distance at all from our offices. When we pulled up, I was really expecting to see a huge warehouse type building full of thousands of wine, you know something not very inviting. Again though I was proved wrong, as its not just a place for wine, but also a place for happy hours, weddings, and other events! If that isn&apos;t too your liking, then just take a date or some friends and go hang out at the bar inside the tasting room and sample some of the tastiest wines around! 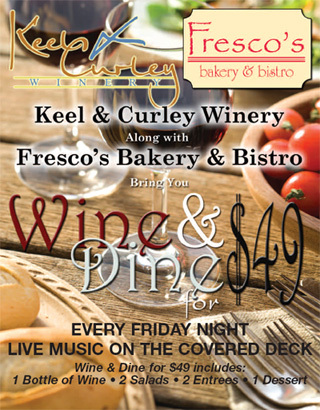 Every Friday on the outside patio, in partnership with Fresco&apos;s Bakery & Bistro they offer Wine and Dine for only $49! That gets you a bottle of wine, 2 salads, 2 entrees and a dessert! We sampled a number of wines, so much so, that I was feeling pretty good by the time we left. But I couldn&apos;t stay away from the Blueberry taste for long, as I actually bought two bottles of wine for the road (Don&apos;t worry , I wasn&apos;t driving)! Remember earlier I told you that I don&apos;t really even like wine, but I am officially a new customer. Just when I thought I didn&apos;t need another reason to love this place, what did I see? In addition to wine, the atmosphere of a country store reminds me of home, as they have many of the items that a country boy like me from Mississippi would love, like Sweet Pickles, BBQ Sauces, Blueberry Pancake Mixes, and so much more! Next time Mama Jerm visits me from home, we&apos;ll have to take a ride out to Plant City and see the gang at Keel and Curley. I could ramble on for days about this place though, but I&apos;ll go ahead and cut this one short! So that its folks, it was a great trip! Be sure to head out to Keel & Curley to spend some time on the beautiful, spacious deck and enjoy the county air and be sure to sample some of Florida&apos;s #1 wine! 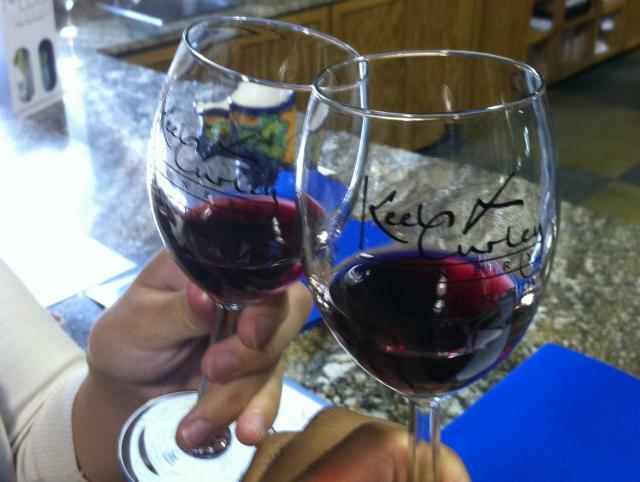 Spend an enjoyable afternoon tasting, shopping or just relaxing at Keel & Curley Winery! Be sure to check back in for updates from us on Keel & Curley and things to do in Tampa Bay!